Sandeep Sharma had approached the police claiming threats to his life after he accused an officer of working with the sand mafia. 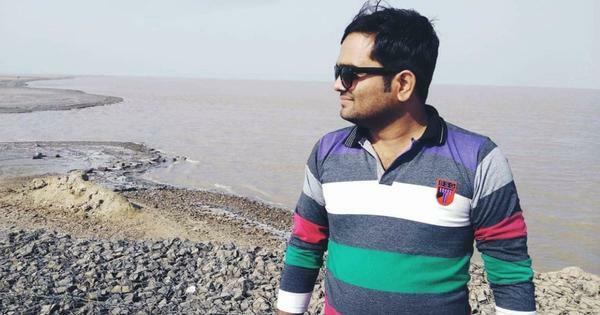 A journalist investigating illegal sand mining cases in Madhya Pradesh’s Bhind district died after a dumper ran over him on Monday, ANI reported. Sandeep Sharma, working for a national TV news channel, had approached the police claiming there was an immediate threat to his life after he had accused a police officer of being involved with the sand mafia, The Times of India reported. The police officer was transferred after the TV channel aired an audio conversation involving him. Sharma was run over near the Kotwali Police station. The police have cordoned off the area and are scanning CCTV camera footage. They have formed a Special Investigation Team to look into the journalist’s death. Madhya Pradesh Chief Minister Shivraj Singh Chouhan said strict action will be taken against the person responsible for Sharma’s death, ANI reported. “The security of journalists is our priority,” Chouhan said.